Nestled on the gorgeous beach of Santa Maria, Hotel Morabeza is one of the most up-to-date hotels dotting the shorelines of this pretty fishing town, hence a popular choice among families with kids and couples, alike. 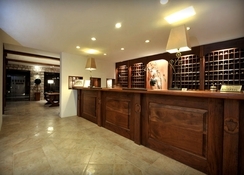 The hotel gives a pleasant, traditional vibe with its choice of interior decor. The hotel’s lobby features an old world charm with tiled floor, stone accent walls paired with wooden wall panelling and wicker furniture. The hotel’s main restaurant, Les Palmiers, has a similar look like lobby, with wicker chairs and white tablecloth, wooden flooring and white walls. Swaying palms dotting the hotel seems like a natural fence of the property. There are three attractive outdoor pools with sundecks, plus, three restaurants and bars serving various cuisines and an interesting mix of cocktails. With its convenient beachfront location, you have access to various restaurants, bars and shops. The hotel has a convenient beachfront location, close to a wide range of restaurants, bars, and shops. Hotel Morabeza occupies a perfect beachfront location on the bays of Santa Maria, closer to the town, offers a plenty of restaurants and bars within a short stroll from the property. Famous among families and honeymooners, alike, the hotel has a laidback vibe. And, the credit goes to the small and charming fishing town of Santa Maria, away from the hustle and bustle of the city life, gives a calm and serene feel to your holidays. Amílcar Cabral International Airport is a 20-minute drive away from the hotel. 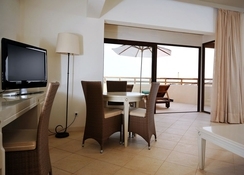 The hotel has inviting rooms with private balconies/terraces and modern bathroom facilities. The rooms have soft shades of cream and beige on the walls with ample of sunlight, thanks to the large windows and private balcony/terrace. Moreover, the cream hued furniture goes well with the striped bedspreads and cream tiles of the room. All the rooms are well-equipped with all the basic amenities like a satellite TV, minibar (surcharge), free Wi-Fi, safe (surcharge), a private bathroom, a hairdryer, work desks, and some suites has a separate living room. Bathrooms also include double sinks, toilets, bidets, magnifying mirrors, and wall-mounted hairdryers, plus toiletries are provided. Some rooms overlook the pools, with the ocean in the distance. The hotel's Beach Club restaurant offers an a la carte lunch, with a special menu for kids. 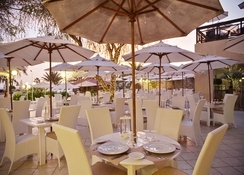 While, Les Palmiers serves breakfast in buffet style and dinner with an a la carte menu. There is a Cape Verdean buffets on every Saturday night. The breakfast menu includes fresh fruits, cereals, yogurts, cheese, ham, breads, pastries, pancakes, jams, fruit juices, and a choice of eggs. The everyday menu is little different for those staying on half-board plans. The La Tortue restaurant offers a different choice of menu for its a la carte meals. Additionally, there are three bars that includes a bar at the beach and a bar by the pool. The hotel focusses on fun and relaxation under the sun. 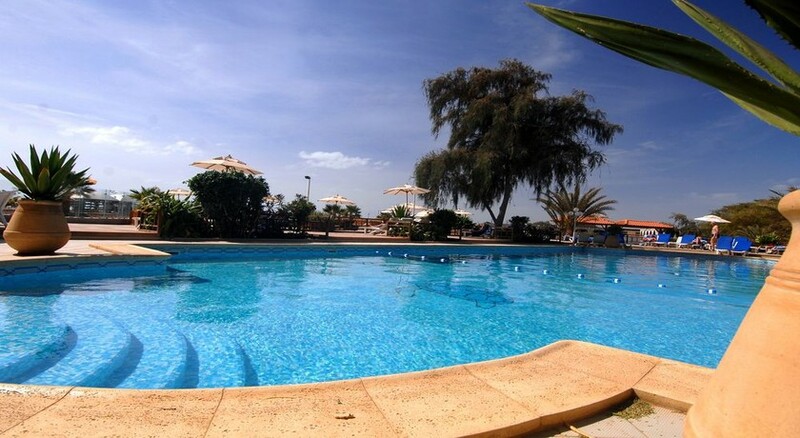 With three lovely outdoor pools, plenty of umbrella, sunbeds on charming wooden sundecks, staying on this hotel is a real treat for sun lovers. You have direct access to a sandy beach of Santa Maria, which comes with a popular watersports like windsurfing, kitesurfing, and diving (lessons and rentals are available for a fee). Additionally, the hotel features a fitness room, two tennis courts, a volleyball court, mini-golf, pétanque and archery. There is a game room that caters to all age group with a pool table, board games and ping-pong. First class hotel enjoyed our stay.